*Register on Eventbrite and check-in at the info booth for a free tote bag while supplies last. First come, first stoked. 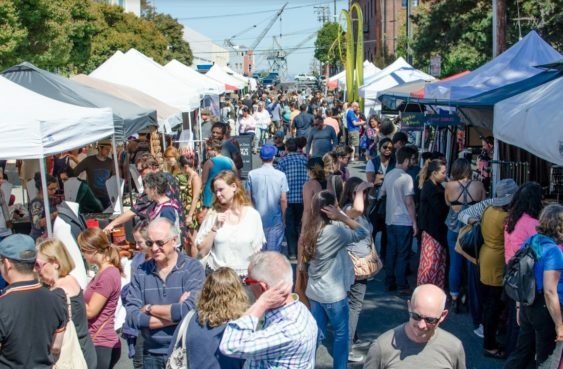 Urban Air Market, a pop-up marketplace for sustainable design will provide Oakland residents with a mini-version of its one day street festival for locally made, high-quality, sustainable goods in Uptown Oakland on William St. at Telegraph from 11 am to 6 pm on July 22, 2018. Free, but an RSVP is recommended. Check-in at the info booth for a free tote bag while supplies last. First come, first stoked. Please bike or carpool, as parking is limited.